Mousa Dembele will be sidelined until the new year after scans revealed the Tottenham midfielder has sustained ankle ligament damage. The Belgium international was hurt in the early stages of Spurs' 3-2 victory over Wolves on Saturday and had been awaiting scan results to assess the extent of the damage. The news comes as a blow to Tottenham manager Mauricio Pochettino, who will now be without one of his key midfielders for the Premier League's busy festive period. "We hope that from the beginning of January he will be ready," Pochettino said on Thursday. "It is always about the patience, how he is going to react to the injury but we hope he is going to be ready by the early January. "We always miss all of the players when they are injured. In 13 days we have played five games, every two and a half days we are competing." With Eric Dier and Victor Wanyama having also missed Spurs' 2-1 Champions League victory over PSV Eindhoven on Tuesday, the club's resources in central midfield are being stretched. 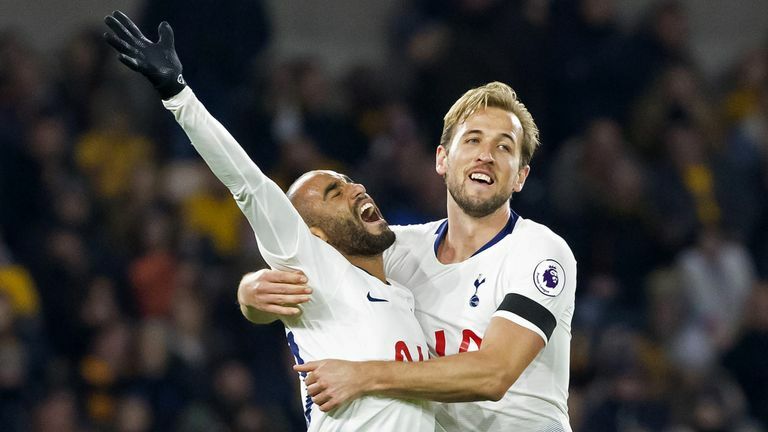 The victory kept alive Spurs' faint hopes of advancing in Europe, while Saturday's win at Wolves ensured they remained within five points of Premier League leaders Manchester City. However, with a challenging trip to London rivals Crystal Palace to come on Saturday, Pochettino and his medical staff will hope there are no setbacks with Dier and Wanyama, who are both slated to return to the squad. "It is a massive, massive effort for the players and I am so pleased," Pochettino said. "But in the same way we need to say some nice words about the staff because the staff are doing a fantastic job helping the players to be ready in every single game." Spurs will play nine times in December, with trips to Barcelona in the Champions League and Arsenal in the Carabao Cup scheduled amongst seven Premier League fixtures.